Generate strives every day to educate and empower Kiwis to make smart KiwiSaver decisions and vastly improve their lifestyle in retirement. We also want to support our members’ communities and the environment that we live in. 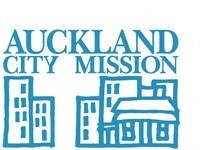 Auckland City Mission HomeGround project: Auckland City Mission supports thousands of Aucklanders in crisis each year. One of their most exciting projects “HomeGround” is scheduled to be completed in 2020. Read more. Forest and Bird: Forest & Bird is New Zealand’s leading independent conservation organisation — protecting wildlife and wild places, on land and in the sea. Read more.